Boyds Mills Press, 9781590787526, 32pp. The biggest mathematical mystery in nature—Fibonacci numbers! Named after a famous mathematician, the number pattern is simple: 1, 1, 2, 3, 5, 8, 13. . . . Each number in the sequence comes from adding the two numbers before it. What's the mystery? The pattern crops up in the most unexpected places. You'll find it in the disk of a sunflower, the skin of a pineapple, and the spiral of a nautilus shell. No one knows how nature came up with the sequence. 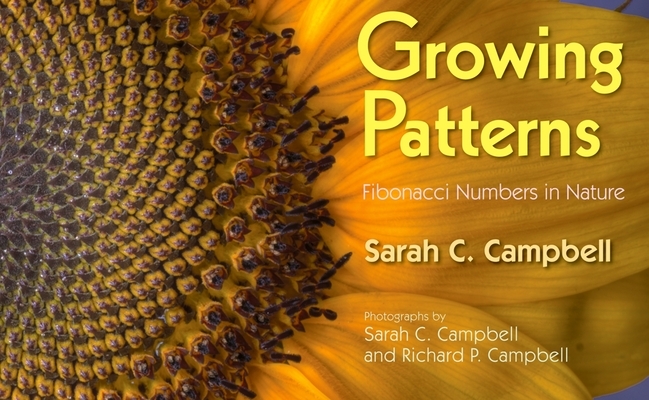 Sarah C. and Richard P. Campbell introduce the Fibonacci sequence through a series of stunning photographs in this ALA Notable Children's Book. Young readers will soon be seeing nature through new eyes, looking for Fibonacci numbers in daisies, pinecones, leaf patterns, seashells, and more. Sarah C. Campbell is the author of the Theodor Seuss Geisel Honor book Wolfsnail: A Backyard Predator. Her writing has appeared in a variety of publications, including Highlights for Children and the New York Times. She lives in Jackson, Mississippi. Richard P. Campbell is co-photographer of the acclaimed children's nonfiction book Wolfsnail: A Backyard Predator. He lives in Jackson, Mississippi.